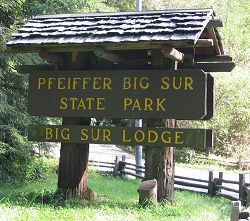 Are you looking for lodging accommodations in Big Sur? 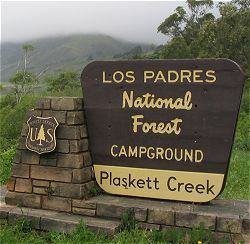 Camping in Big Sur? 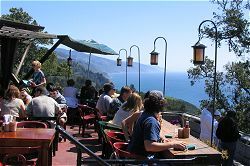 Restaurants in Big Sur? Do you need to know where you can purchase gifts or gasoline in Big Sur? Or where you can hike, surf, see wildlife, or soak in a hot spring? 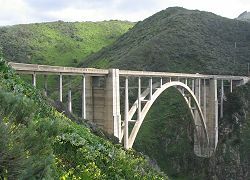 In this section, each type of activity, facility, and service provided in the Big Sur region is listed. 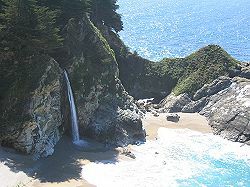 For each, there is a list of the locations in the Big Sur region where it is found. Each location is linked to its description in the Along the Highway section of this Guide. If you're looking for something specific on this Web site about Big Sur and have not found it yet, try the It's Not Here page or the Search this Web site page. Has this site been worth something to you as you plan a trip to Big Sur -- maybe fifty cents? a dollar? If so, you can, if you wish, contribute that amount to help defray this site's costs. Learn how.